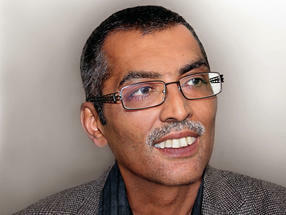 Harshadrai Manilal Rawel, born in 1959, studied food technology at Humboldt-Universität Berlin, where he received his doctorate in 1991. Since 1995 he has been a research assistant at the Institute of Nutritional Science at the University of Potsdam, Bergholz-Rehbrücke. There he qualified as a professor in 2002 in the field of nutrition science. From 2009 to 2013 he was the interim professor for food chemistry at the University of Potsdam. Since 2010 he has been an associate professor in the field of instrumental analytics in nutritional science. Professor Rawel is particularly interested in proteomics and mass spectrometry.